Editing tools you need. Post-production you want! A video is nothing without good audio. HitFilm Pro’s professional audio editing functionality means that you can fix, normalize and improve your sound without any need for third-party software. Intensify haunting requiems or raise angelic voices with HitFilm Pro’s standard pitch, noise reduction, tone, and channel levels. Need loud characters to quiet down? 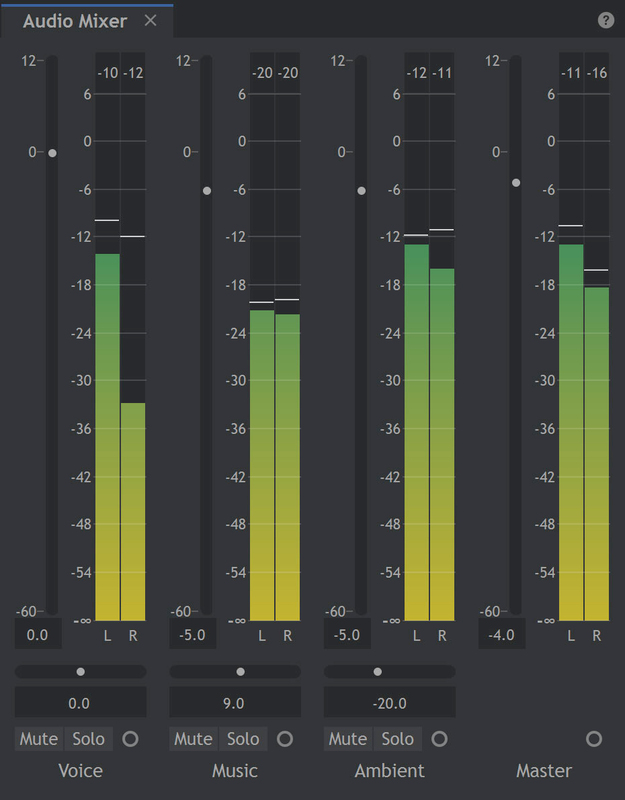 Use the new Hard Limiter to balance and normalize audio levels. Finish off your sound design with super-smooth audio (and video) transitions done right in your editor! From 8K video export with 32-bit color for high-end professional projects to quick and easy export to YouTube, HitFilm Pro has your every need covered. With intuitive presets and an export queue, you can step away from your desk and leave HitFilm to resume exporting everything you need without prompt. With the best titling tools in the industry, HitFilm gives unparalleled choice to any motion graphics artist. From simple captions to 3D embossed text and advanced raytracing, you can create impressive Hollywood-style graphics, professional lower thirds or develop your own unique titling style. Give your titles some real-world feel using our Surfaced Studio effect. This powerful tool lets you generate smooth or roughly textured metallic and vitreous surfaces on any text (or layers) and have them interact with other objects in the scene. Reflect colors from your environment to turn your text into a reactive, cinematic object. With HitFilm Pro, you have incredible 820+ VFX & presets at your fingertips, ready to use on any layer. From Justice League Flash effects to Ghostbusters-style proton beams, our range of customizable effects is unmatched. Turn back time with an old Western-style shoot with muzzle flashes, add some class to a product shoot with lens flares or scale up your sci-fi short with energy distortions, electricity effects, and more. You’ll find yet another industry-leading piece of technology in HitFilm Pro’s highly coveted particle simulator. It exists in fully unified 3D space so you can easily add effects like simulated fireworks to layers of green screen footage and animation. Fully integrate your objects with 3D cameras, lights, and shadows for a more realistic look. Bring static characters to life with HitFilm Pro’s Puppet Tool. Using the simple pin and mesh function, you can create natural motion in still images, shapes or text. Easy, fast, fluid animation— no strings attached. Create your own custom grade inside the software, or import your favorite LUTs for the perfect look in no time at all. Save time in post-production, unify your images with certain looks and start yourself down the road to a perfect color grade. HitFilm Pro takes your workflow to the next level. Seamlessly combining a huge array of features providing amateurs and professionals everything they need to see a project through to the end. Combined timelines: Switch from one tab to the next like you would on a browser depending on your needs. Edit in one, composite in the other and jump back to the editor without any need to load another piece of software. Personalizable workstation: Adjust your interface using the collapsible and expandable panels to ensure you have access to the things you need and aren’t distracted by panels you don’t. Your personal interface can then be saved as your default layout. Color coding: Clip and track labelling gives you the freedom to color code your shots to more easily differentiate between takes, music & video. Give your creative process a bit of order. Personalized playback: You can customize your playback quality and paused quality. This allows you to experience really fast playback in the editor and trimmer, preventing lagging and making it much easier to time up edits/cuts. Not only can you playback at a different quality, you can now control that quality from the menu in the viewer. This allows you to make faster, snappier edits. Enhanced performance: Threaded-rendering allows the interface and video to work independently allowing for a smooth and lightning-fast workflow. Users of Intel and Nvidia hardware will notice the incredible power of our GPU decoding. Mask editing and rendering: Masking is used to manually create a matte. A matte determines which parts of a layer are visible. Practically, this means that masks are used to cut holes in your layers. 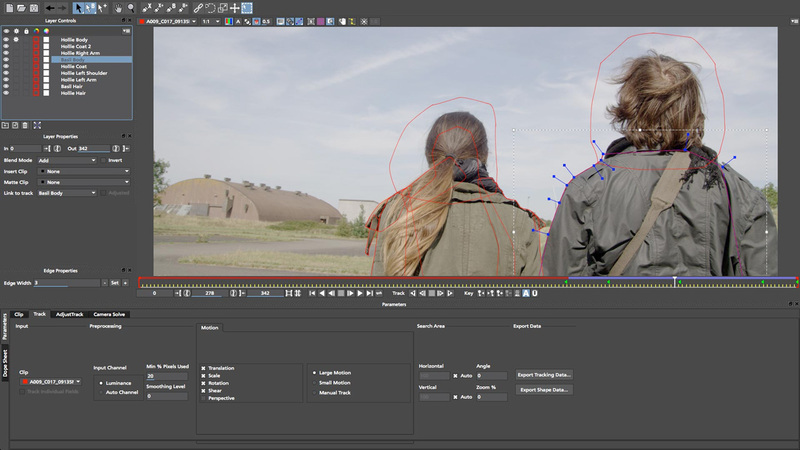 HitFilm Pro’s mask editing is faster than ever before enhancing and speeding up the rotoscoping process. As video quality increases, the software must be capable of handling everything it’s given which is why performance has been boosted. Export Queue: HitFilm Pro’s export queue allows you to set up a list of edits and shots to export while you’re away from your desk. If you close down the software, the export will automatically resume when you load it back up. Export presets: Export presets let you configure your export settings for high quality or high compression. Just drag and drop your selected presets, make it the default and move on to the next task. Export is available in multiple formats including 32-bit color and industry standard GoPro Cineform (Win) or QuickTime ProRes (Mac). Professional formats: HitFilm Pro’s 8K support and RAM preview ensure the best possible quality for your projects. Work with all footage, from your vertical smartphone shots to high-end professional camera documentaries, HitFilm can handle it. Intelligent search: Quickly locate what you need with HitFilm Pro’s keyword search and find feature for all your media, effects and composite timelines. Coming from another software system? No problem, our algorithm recognizes keyword links to help you find what you’re looking for. HitFilm Pro provides a range of powerful non-linear editing tools ensuring you have the right tools for the job. Animation tools: A large number of advanced animation tools are now available within both editor timelines. This huge update allows you to create and edit audio and video transitions without the need to create composite shots. Composite shot enhancements: There is a vast number of animation tools, more than ever before, at your disposal in composite shots. For example, you can now animate two shots at once by using the control panel graph and the timeline graph. If you’re working on a complicated composite shot, you can work on a scene at the top and bottom of the shot simultaneously. Audio Hard Limiter: Professional audio editing functionality allows you to normalize your audio without any need for external software. Make all the adjustments you need inside HitFilm to create a pitch-perfect performance. Unlimited tracks: HitFilm allows you to add unlimited video and audio tracks to your timeline. You shouldn’t be limited by your software. Picture in Picture: Picture in Picture (or PiP) is a highly common video style in online content. HitFilm now provides a quick solution for this with the Picture in Picture effect, allowing you to position one clip inside another with different scales and position relative to the layer. Adaptive Trimmer: You now have the power to re-trim your clips after adding them to the timeline. Double-clicking a clip sends it to the trimmer panel, ready for you to make the adjustments you need. Once the necessary changes have been made the clip on the timeline will be automatically updated. Behaviors: Behavior Effects have now been added with a whole array of possibilities. Rotate By Layer allows one layer to rotate by a specified multiplier of another layer’s rotation. Creating animated timepieces or orbiting planets has never been so simple. This is just the start of the capabilities of the new Behavior Effects. Vertical video: Uploading vertical video shouldn’t be punishing - HitFilm now provides support for vertical videos, creating a blurred version of the original video to use as a background so the video can seamlessly fit alternative aspect ratios. Compositing and layering: Add new dimensions to your filmmaking by bringing together 3D layers, models and particle simulations in the same space. Create stunning user interfaces by layering 2D graphics directly inside a 3D model. 3D camera projection: Take an ordinary 2D photo and convert it to a projected, photoreal 3D scene complete with camera movement. Attributes: HitFilm now offers the ability to copy a group of attributes from one clip and apply them directly to another, or your whole project. Forgot to grade your first 10 clips? Now you can grade one and easily apply the same grade to the rest. Audio Mixer: The audio mixer allows you to fine-tune your sound for professional quality output. Easily modify, balance and mix tracks – or get precise control over individual elements with mute and solo features. Transitions: Make a smooth segue or eye-popping transition between shots with one of HitFilm Pro’s dissolve, push, slide, split, wide, zoom, fade or iris transition features. You can even build your own transition type within a composite shot or the editor timeline. Dedicated trimmer: Get your rough cut looking sharp with HitFilm Pro’s dedicated editing trimmer – complete with insert and overlay functionality. Cut it even quicker with customizable keyboard shortcuts to set the ‘in’ and ‘out’ points in the trimmer. HitFilm’s Particle Simulator is a very powerful tool which allows you to play God. Create weather systems, grow your own cities or summon swarms of creatures - it’s all in HitFilm Pro, from grid patterns and fractally-warped, audio-influenced 3D forms to chaotic, physics-driven simulation. Emitters: An emitter is where all particle effects begin, specifying where the particles appear and affecting their initial trajectory. Particle systems: An emitter can contain multiple particle systems. A particle system is the visible part of the particle effect. The properties of a particle system will determine the visual appearance and behavior of each individual particle at its birth. Once a particle is born, its behavior can be affected by multiple external factors such as deflectors and forces. Mobile emitters: Emitters can also contain mobile emitters. These are special types of emitter that are spawned in the same way as particle systems, but which can then go on to spawn their own particle systems. Deflectors & Forces: If you want your particles to interact in more interesting ways, deflectors and forces are what you need. Deflectors are collision areas for particles and can be shapes generated inside the particle simulator or other layers on your timeline. This is a great way to simulate particles colliding with real-world objects in your live action footage. Particle shapes: Create awe-inspiring particle clouds based on 2D shapes or 3D geometry, then warp them into organic forms with extensive fractal distortion. You can even mix in an audio clip to automate the animation. 3D objects as particles: Want to get more creative with your particle design? Simply import your own 3D models as particles to create everything from a fleet of warships to a swarm of locusts. Post processing: Take computer-generated particle systems to the next level by adding 2D effects and filters. You can add heat distortions to big explosions or mists over a foggy mountain to give your special effects scenes a more organic look. HitFilm houses over 800 unique effects and presets, each of which can be pulled apart, altered and put back together again to create something entirely new. Text and titling: HitFilm Pro comes with professional text and titling options. Add 3D geometry effects such as extrude, bevel and rotate to your text to create the look you want. The geometry supports lights, shadows and environments maps. Not only can you copy and paste without issue but you can now type directly into the textbox. The latest build gives you the power to export titles, have instanced titles on the editor meaning you can edit them in the editor without going into the comp. Text animations and effects for animated titles and 10+ pro titles included as default to get you started. Fire and lightning: Procedurally generated fire and lightning with accurate behavior and appearance can be further enhanced with heat distortion and post-processed lighting effects. Muzzle flashes: HitFilm Pro’s gunfire effect generates an endless variety of muzzle flashes, from pistols to miniguns. Unlike pre-rendered stock, these can be rotated in full 3D to work from any angle. Repair your footage: Remove unwanted digital grain from your videos, fix jello-vision caused by rolling shutter cameras, stabilize jittery handheld shots and remove distortion from fisheye lenses. Lens flares: Mix and adjust flares, anamorphic streaks, light leaks, sparkling highlights, volumetric 3D light rays and high quality glows to enhance your cinematography. 360°video: Take advantage of the updated 360°video viewer panel allowing you to view 360°video in its original state inside the trimmer alongside the adjusted version so that you can easily add the all-new 360°video effects. Puppet tool: Use the Puppet tool to quickly add natural motion to raster images and vector graphics, including still images, shapes, and text characters. The Puppet effect works by deforming part of an image according to the positions of pins that you place and move. These pins define what parts of the image should move, what parts should remain rigid, and what parts should be in front when parts overlap. HitFilm comes packed with powerful color correction and grading tools providing you with everything you need to get the polished look you’re after. Scopes: Use layer-specific Vectorscopes, Waveforms, and Histograms to take your color correction and grading to another level. Vectorscope: Don’t let your characters blend into the background. Vectorscope viewer identifies skin tones so you can adjust color and saturation. See where color has been removed, how to achieve white balance and how much tint you’re adding. 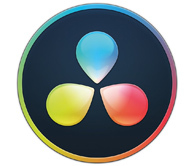 Color Support: Use 32-bit color grading to add vibrant color tones and textures that jump off the screen. No banding, no pixels, just smooth gradients and future-facing films. You can use work from almost any source and resolution – even 8K UHD. Curves: Allow yourself to bend the truth in each scene. HitFilm Pro’s curve effects give you extremely fine control over the final look of your shots. Color wheels: If you’re stuck finding the right color for the job the color wheels that come with HitFilm Pro will give you every option to pick from. Extensive presets: Found your signature look? Save it with HitFilm Pro’s color settings presets so you can quickly recreate it in your next project. HitFilm Pro includes hundreds of presets as standard, with many plugins for additional power and flexibility. Grading toolkit: HitFilm Pro’s extensive collection of color grading tools lets you customize your own look and lighting. Each tool can be applied to the entire shot, or specific areas of the frame, to ensure precise color grading. You can even grade several layers at once. Cinematic looks: Prep your film for the big screen with HitFilm Pro’s classic cine-style and cine-style effects. Choose from effects like Bleach Bypass, Day For Night, Grading Transfer, Three-Strip Color, Two-Strip Color and Film Grain to add a flair of drama and cinematic edge. Hyper-stylized effects: Channel your inner Van Gogh with HitFilm Pro’s hyper-stylized color effects. Create dream-like sequences or somber moods with effects like an oil painting, solarize, posterize and cartoon. LUTs: Give your film bold Marvel colors without spending hours in the studio. Using your LUT plugin of choice, you can quickly apply your favorite cinematic color scheme or perfectly match the color grade from another clip or image. Footage repair: Sometimes (many times) post-production has to step in to save the day. Be the hero with HitFilm Pro’s professional noise removal tools and digital make-up for your actors. Damage simulator: So your shot looks a little too perfect? HitFilm Pro’s damage simulation feature gives your footage a rougher look with film damage, TV damage, Flicker, Jitter, Shake and Stutter tools. Advanced chroma key, matte cleaning, spill suppression and auto light wrap combine with sophisticated 2D and 3D layering to create green screen composites so realistic your audience will never even know. Chroma Key: HitFilm Pro made extracting actors from green screen effortless with the powerful broadcast quality chroma key. Use the chroma key to get high-quality removal from a blue or green screen, control over edge detail, color correction and advanced spill replacement. Matte cleaning: Key to the highest standard with HitFilm Pro’s matte cleaner tool. Get high-quality composites every time through smoothing, feathering and choking the edge of the key. Spill simulation and light wrapping: HitFilm Pro’s unique spill simulation feature replaces unwanted light reflections from your green screen with realistic simulated light from your new background. You can even add the light wrap effect for a more realistic light bloom around your foreground elements. Green screen: Clean up your green screen footage with HitFilm Pro’s effortless broadcast-quality chroma key. Use the technology to get high-quality removal from a blue or green screen, control over edge detail, color correction and advanced spill replacement. Providing powerful and advanced tracking tools HitFilm. Get more from your shots. Allowing you to build your own reality in each scene. 2D Feature Tracking: HitFilm's 2D tracker is designed for quickly tracking moving features in your videos. Once you’ve tracked the feature you want, the data can be used for a variety of things. If you’ve ever wanted to composite a realistic flying craft into your shot, for example, tracking is a key step. Mocha HitFilm: HitFilm Pro includes a special version of Mocha from Imagineer Systems. Using Academy Award-winning planar tracking technology, Mocha provides advanced tracking solutions for multiple situations. Importing 3D camera tracking data: HitFilm supports the .ma format for importing 3D camera data from other tracking products, such as Boujou and SynthEyes. Use the 3D camera tracking data option from the Import menu in the Media panel to select your .ma file. HitFilm hosts a powerful set of 3D model compatible tools. Import, adjust, texture, animate, composite and render the outstanding integration into your scenes. Models: A number of 3D model formats are compatible with HitFilm. After they’ve been imported and adjusted to your liking they can then be composited into your scene all within HitFilm. Animations: Animate objects and shoot with virtual cameras and lights, with real-time shadows, reflections and physically-based lighting producing super-realistic results. 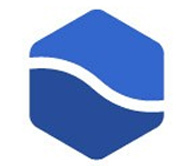 Experience lightning-fast load times, film box support and added FBX import. 3D animation cache: Caching your 3D animation data means that it doesn't need to be retrieved from file once the frame has been rendered before. Meaning that once the data has been rendered, it’ll no longer need to be read from file on every frame. Less data means quicker loading! Import animation: HitFilm Pro offers support for a number of 3D formats including OBJ, LWO, and 3DS. Alembic ABC and Filmbox FBX can also be imported with geometry animation for individual models and groups within HitFilm Pro. Depth maps: Improve your perspective with HitFilm Pro’s depth maps for all 3D layers (3D models, planes and particle systems). Composite different objects together using depth information for masking and occlusion. Get all the benefits of 3D data while compositing in 2.5D with effects and filters. Texturing: Import and apply any texture to any model and configure specular maps to appropriately color each material. You can even experiment with normal and bump maps to add additional 3D detail to your model without negatively impacting editing, viewing performance and polycount. Reflections and lighting can be adjusted to get the right look and feel for your scene including directional, spotlight, point and ambient light. For added realism, you can add shadow casting to in a 3D scene or switch on ambient occlusion to allow layers to cast and display shadows. Mirror reflections: Models can now adopt mirror reflections. If you’re using HitFilm for product or corporate videos you can take a 3D model and create a complete and accurate mirror reflection for a realistic look. Unified 3D space: You can position a 2D green-screened actor in the cockpit of a 3D model helicopter without any layering tricks! HitFilm Pro’s unified 3D space feature allows you to create layers and models that interact in the same space. Add effects like motion blur and depth of field using the software’s built-in cameras for a more realistic look. Doppler shift: Helicopter landings and revving engines sound as real as they look with HitFilm Pro’s doppler shift feature. Simply attach audio to your animated 3D layers and HitFilm will automatically apply Doppler shift as the layer moves towards (and away) from the camera. HitFilm Pro comes with a huge amount of specialized effects built-in allowing you to easily enhance your film visuals, creating memorable and impactful scenes. 3D muzzle flashes: Perfect for any action scene – HitFilm Pro’s dedicated 3D muzzle flash engine incorporates a huge library of customizable effects. Drag and drop realistic, infinitely variable muzzle flashes onto any weapon in your prop collection from any angle, and at any size. Procedural fire: Re-make your own Towering Inferno with HitFilm Pro’s procedural fire effects. You can augment your stock footage with everything from small bonfires to large-scale building fires. Perfect for turning up the heat and production value. Distortion effects: HitFilm Pro’s distortion effects come in four flavors: Heat, Energy, Smoke & Fluid Distortion. Add industrial grit to your props and environments with jet exhausts, burning fires and hot proton beams, or create your own Narcissus reflection scene with fluid caustics - perfect for creating the appearance of looking through a liquid surface within the software. Neon path: Create stunning neon sign graphics straight out of a dystopian metropolis or middle-of-nowhere motel. Just add the neon effect to text and shape layers to create life-like neon sign graphics that interact with surrounding elements. Bonus: Neon Path significantly reduces time spent rotoscoping light swords and laser beams. After positioning your light sword using the 4-Point Auto effect, enhance it with flicker, foreground & background distortion for an irregular edw and path animation. Easy sci-fi effects: High-quality visual effects are the building blocks of modern sci-fi classics. So we’ve created a showstopping repository of classic sci-fi tropes - from starfields and lasers to FTL-jumps, text crawls, earthquakes and even light swords. Drag, drop and dazzle. Lightning & electricity: Take up the mantle of Nikola Tesla with your very own lightning generator. Use it for Harry Potter wand effects, exploding starship systems or have your actors throw electric bolts with customizable branches, color, and motion. Lens flare toolkit: Get the J.J. Abrams look without having to adjust F-stops or shine a Maglite into your camera. Volumetric, anamorphic and automatic lens flares are all easy to use with automatic identification and application of flares to bright spots in your layers. HitFilm Pro even simulates imperfect lens flaring from specular highlights, camera dirt, and anamorphic streaks. Warping tools: Twist and distort your footage for that added cool factor using HitFilm Pro’s vortex displacement, bezier warps, perspective and polar warps. You can flatten your action footage to match your traditional lenses or use Action Cam Lens Distort; making it easy to layer your composites directly onto footage filmed with action cameras. Temporal tools: Tell more stories in a New York minute with a temporal palette that lets you speed up, slow down or reverse the action. Bring your scenes to life by having characters dodge bullets with motion blur, or bend time with echoes, motion trails and temporal displacement. Hide objects: Don’t let rogue pedestrians come between you and your perfect shot. Clean up your footage by easily hiding or duplicating objects with HitFilm Pro’s clone stamp and replacement tools. HitFilm supports a large number of file formats with more compatible formats than ever before. Video formats: Supporting Quicktime, AVI, MOV, MP4 (AVC/H264 & AAC), MPEG-1 (TS, PS, MPE, MPG, MPEG, M2V), MXF (DVCPro HD), DV, HDV, WMV, HitFilm can use the most commonly used video file types. Providing unlimited creativity. Audio: A range of audio file types can be integrated into your projects in HitFilm including AAC, MP3, M4A, MPA, WAV, and WMA. Image & sequences: Importing images and image sequences are a vital part of compositing and filmmaking. 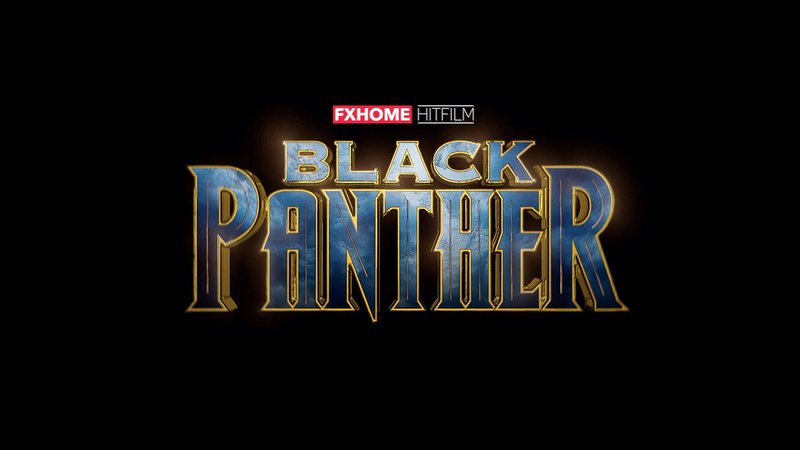 HitFilm is compatible with BMP, GIF, JPG, PNG, TIFF, TGA, OpenEXR and HDR images for ease of use. Export: HitFilm allows you to Export to a number of different file formats including Quicktime, MP4 (AVC/H264 & AAC), Image sequence (PNG, JPG, BMP), AVI (uncompressed, PAL DV, NTSC DV). Media panel: The HitFilm audio syncing has leveled up. Import video and audio, select multiple clips in the media panel and the software automatically syncs the files. Audio-syncing: HitFilm Pro introduces the new audio sync tool. By simply selecting multiple clips in the media panel, HitFilm will automatically sync the files. Import performance: HitFilm is now doing more in the background so that you can get your media imported at lightning speed. 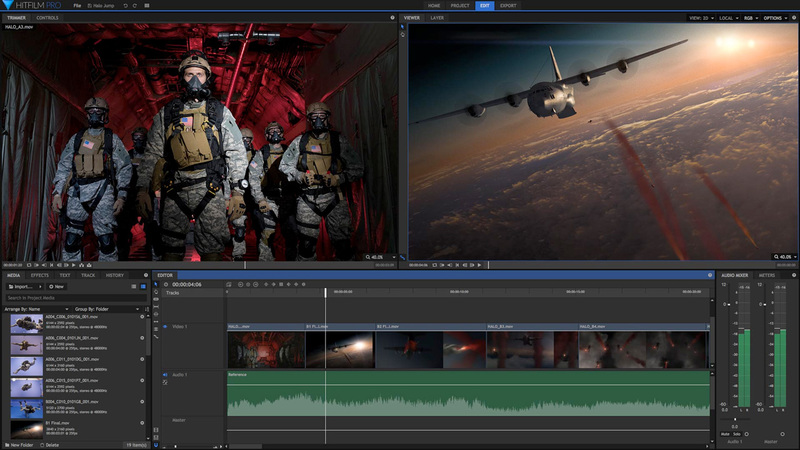 HitFilm Pro is multi-core and GPU accelerated. It has seen some vast improvements under the hood providing superior performance and speed like you’ve never seen before. You may need to update your graphics drivers to run HitFilm Pro. Running the latest GPU drivers increases the performance and stability of your computer. Find out how. Processor: Intel Core i3, Core i5, Core i7 or AMD equivalent. The Project Screen has been replaced with a Project Settings dialog that can be accessed through the File menu. Rendering of the Viewer and the interface have been separated, to dramatically improve performance. Color Labels have been added to all timelines, to aid in organizing your media. Added GPU-accelerated decoding of video files on NVIDIA hardware. Added GPU-accelerated decoding of video files on integrated Intel graphics hardware. Select properties of composite shot layers can be published, allowing them to be accessed and edited on the Editor timeline without opening the composite shot. The contents of text layers can be published, allowing the text to be edited from the editor timeline without opening the composite shot that contains the text. The Text tool can now be used natively on the Editor timeline. A new class of effects, Animation effects, has been added, simplifying the process of adding basic animation to layers and objects. Composite shot templates can now be exported and imported, for sharing between projects or users. A collection of templates for lower thirds now installs with the software. "Default render bit depth", in the preferences panel, was renamed to "Render bit depth". Added support for OpenType CFF fonts. Improved performance of video playback in the Trimmer. Performance of animated 3D Models is improved by caching animation data. The software now allows watermarked exporting while in demo mode. Viewer control gizmos are no longer visible during playback. The "match settings" dialog is now displayed when multiple clips are dragged to an empty Editor timeline, if all selected clips use the same settings. The integrated Boris 3D Objects plugin has been upgraded to the latest version. It is now possible to select multiple transitions on the Editor timeline. Improved performance of single-frame steps of the playhead. Adjusted the sensitivity of character spacing on text, to make minor adjustments easier. Improved differentiation between the YUV Color Correction Wheels. Improved performance of loading audio files on Import. Improved compatibility with MP4 files containing AAC audio. Improved support for GoPro CineForm AVI files. Improved the styling of animation graphs on the Editor, so they are visible on any background color. The Editor timeline now updates the cursor correctly when a new tool is selected. Drag & Drop to the editor now disables correctly when the asset is dropped. Updated the keyboard shortcuts for moving between screens in the software. The integrated Boris effects now display correctly with all downsampling modes. Alignment of the Trimmer no longer varies after play/pause is clicked repeatedly. Contextual menus now correctly display all applicable options when multiple items are selected. Masks now function consistently regardless of the Viewer downsample mode. Keyframes no longer display outside the range of Editor timeline objects. 3D models can now be selected by clicking on them in the Viewer. Entering unsupported characters into the name of an Export preset no longer causes unwanted movement of the cursor. Editing the default export location now works correctly. Control points on the Opacity Envelope now display correctly when placed near the end of an asset. The layer panel no longer displays menu options that are not applicable to the panel. Selecting a non-active camera in a 3D composite with Depth Of Field enabled no longer causes stability issues. Viewer gizmos now display immediately when media is added to the timeline. Indenting text within a text box no longer overrides the constraints of the text box. Video filmed with mobile phones now consistently imports with the correct orientation. Playing the Trimmer while zoomed in no longer causes unexpected changes in the zoom level. Opening a composite shot timeline that contains a layer no longer causes stability issues. Right-click and drag on the Viewer during playback no longer causes the Viewer to go black. Dragging an item to the Viewer now correctly selects it and displays its controls in the Controls panel. Full Screen preview now works correctly with multiple HighDPI displays. Containers and panels of the interface can now be repositioned correctly. Creating a new project immediately after loading a project no longer causes stability issues. Launching the activation app to deactivate the software no longer gives an error. Improved compatibility with certain problematic MP4 files. Antialiased rendering of a layer that is oriented toward the active camera, when using an orthographic view, no longer causes stability issues. An issue where certain font weights would display incorrect characters has been resolved. Repositioning a mask with its Scale set to 0% no longer causes stability issues. Importing corrupted h.264 video files no longer causes stability issues. Deleting an effect from an embedded composite shot no longer causes a stability issue. Paragraph text layers no longer display the first character in the wrong font. Deselecting media on the Editor timeline now works consistently. Deselecting a layer while a mask is active now correctly deselects the mask. Resetting the Scale property to its default values now properly relinks the values when necessary. Creating a new Track on the Editor no longer auto-selects the track name for editing. Wingdings and Webdings now work correctly. Double-clicking on Text no longer causes stability issues. The import dialog now defaults to the correct location, if the last import drive is not available. Improved performance of scrubber widgets on systems with multiple displays using different resolutions. Selecting multiple layers and disabling them all at once now works correctly. Long layer names no longer cause layout issues. Uncompressed AVI export no longer results in corrupted video files. The Export progress bar on the Dock now updates when new export tasks are queued during export. Spaces at the start or end when renaming an export preset no longer causes unidentified errors. Clicking on a scroll bar now scrolls to the point clicked on, rather than performing a page step. Long layer names are now elided in the Layer panel when necessary. Long layer names are now elided in the parenting menu when necessary. RAM Preview now works correctly with Boris effects. Undoing a change in a comp while viewing the editor now renders correctly. Editing the alignment of a camera layer no longer causes stability issues. Loading a project containing multiple 3D models set to 3D Unrolled no longer causes stability issues. Using the Angle Blur effect on a system with AMD R9 380 graphics no longer causes stability issues. Neon Path effect now correctly factors in all transform data for masks when drawing the path. Opening a Text layer in Mocha HitFilm now displays the text at the correct size. Download HitFilm Pro Version 11.2 Requires Windows 8 64-bit (or above) or OS X 10.11 El Capitan (or above). Running HitFilm under MacOS 10.14 Mojave no longer causes a system instability. The BorisFX 3D Objects plugin now correctly installs with HitFilm for Mac users. The all-new Exposure Pro effect brings enhanced exposure and color editing to HitFilm Pro, in a powerful but easy to use interface. Dehaze improves clarity and detail in hazy shots, and allows you to add haze for style or atmosphere. Inner glow creates a soft glow effect around the inside edge of your layer, and edit the glow's size and color. Outer glow creates a soft glow effect around the outside edge of your layer, and edit the glow's size and color. Distance Field generates a grayscale map where each pixel is colored based on its distance from the edge of the layer. The all-new Surface Studio effect is a powerful tool for generating smooth or roughly textured metallic or vitreous surfaces on text or other layers. The Neon path effect no longer has alignment issues when taking its shape from a text layer. Non-English characters now render correctly in text layers. Text layers now auto-expand as you type. New paragraph controls in the text panel provide additional controls for text layout. Adjusting the duration of a transition now symmetrically resizes the transition in both directions by default. Improved rendering of all fonts, so spacing and other properties are consistently respected. Transitions are no longer limited to 5 second duration. The font list now properly recognizes and lists all fonts installed on the system. All font styles are now listed for non-English Windows localizations. OpenType fonts now appear correctly in the font menu. Improved drag and drop behavior when replacing transitions. 3D models no longer clip incorrectly when stored in an embedded comp set to 3D Unrolled. 3D models applied to particles can now be correctly illuminated by Environment Maps. Creation of mask points is improved, to provide better control over their curved or linear status. Selecting a comp as a material source layer no longer causes stability issues. Improved editing of text layers in the Viewer panel. Improved rendering of mask controls on layers which do not match the timeline resolution. Improved editing of complex text characters, for example 'ñ' is now edited as a single character, rather than as two. Trimmer no longer hangs when you try to open a plane or other non-media asset. The Use Audio and Use Video options in the trimmer now update correctly. Fonts containing multiple styles now display all styles correctly in the text panel. Some fonts which would jumble characters when a specific style was selected now display all characters properly. Accuracy of clicking to create a new text layer on High-DPi displays has been improved. Indenting text no longer creates multiple entries in the History panel. Editing the left indentation of a text layer now updates properly, without the cursor disappearing. Corrected an issue with the maximum dimensions when creating export presets. Adding mask points when Path animation is enabled no longer causes stability issues. Viewer now updates to show results while editing transitions. Click-drag to rubberband select multiple points in the Layer panel now works correctly. The Trimmer now displays the playhead location while you preview an audio clip. The Trimmer now displays the In and Out points on an audio clip, so you can easily select a specific portion for use. Toggle buttons on the trimmer allow you to easily view the audio waveform of a video clip. Buttons have been added to the Trimmer to add only audio or only video to the timeline. Integration with Vegas 16 has been added. The default project size has been changed to 1920x1080. When opening a project that uses features not available in your current version, improved messages clarify what is missing. Select All has been improved to only select visible layers. Existing versions of .hfp and .hfcs files are now protected from overwriting if there is an error during the save process. The swatch for the default Viewer Background Color now displays properly in the Viewer Options menu. The time bar now consistently renders correctly on High DPI displays. The Auto Scale button for the Value Graph is now only enabled when the value graph is visible. The Options dialog now remembers its size and state when re-opened. When the Trimmer is first shown, it now properly displays the current media. The "70s Photo" preset is no longer missing from HitFilm Express. Renaming a composite shot no longer causes unwanted change to the case of the text. The search box in the Project panel of the Export screen is now properly cleared when the Project panel is reloaded. The Project tab of the Export screen now properly remembers its layout when the software is closed and relaunched. The Home screen will no longer flash white before its content loads. Fixed several spelling errors in tooltips. Right-clicking a layer containing a single point mask no longer causes stability issues. Exporting individual clips from the timeline works correctly again. What's New in Version 9.0? HitFilm can now export in the background, while users continue working on their project. The End-User License Agreement has been updated to be GDPR compliant. Timelines can now be added to the Export queue from the Export screen, an export preview has been added, and the difference between built-in export presets and user presets has been clarified. The Export tab now shows the number of export tasks currently in the queue. The Export queue may now optionally remove known media extensions from the names of composite shots that are added to the queue. The Elapsed Time and Remaining Time columns may now optionally use standard timecode to display their values. The proxy has been renamed to Pre-Render within the program, to clarify its purpose. Interface tabs are now easier to read. Unselected items can now be right-clicked when the slice tool is active. A rare error involving duplicate export tasks has been resolved. Composite shot names can now display 4-byte Unicode characters correctly. Tabbing between fields in the text panel now works as intended. All video clips now appear correctly on the editor, regardless of the zoom level. Keyboard shortcuts now work properly on the Export screen. Improved clarity of the error message shown when you try to export to a nonexistent folder. Selection and deselection of multiple items on the Editor now work correctly. Values in the Layout Panel now display correctly when scrubbed. Mask points added to a curve now correctly assume the curved style, rather than being linear. Double-clicking expansion arrows in the effects tree will no longer open the import dialog. Composite shot timelines now autoscroll if necessary when moving a layer vertically through the stack. CTRL-Clicking multiple assets on the Editor no longer causes stability issues. Multiple preview requests for imported files no longer cause stability issues. What's new in version 8.0? New layout panel added controls for precisely aligning & positioning layers. Master reset buttons have been restored to each tab of the Options dialog. Default preferences for the Viewer panel, such as the default background color, can now be set in the Options dialog. Default preferences for the Editor timeline, such as track sizes and thumbnail style, can now be set in the Options dialog. Added the ability to select multiple points on a mask by dragging a rubber band around them. Added support for transparency in all Plane layers. A preset for the alpha channel has been added to the properties dialog of plane layers, to define their default transparency. New Mirror and Rotate buttons are available in the Layout panel. Masks can now be scaled relative to the opposite corner, rather than the center point, by using the CTRL (CMD on Mac) modifier. New Origin control selector for masks allows you to move the anchor point from which scale or rotation adjustments will be applied to the mask. Improved Mask tools include a bounding box while creating mask points, to make it easier to manipulate multiple points at once. Default preferences for the Media panel, such as how files are arranged, can now be set in the Options dialog. The default size for video and audio tracks on the Editor has been changed to large. The Options Dialog has been updated to use a vertical stack of tabs on the side, so the tabs fit better into the available space. Improved Mask rotation so the original bounding box is retained regardless of whether the mask has been rotated or not. A checkerboard now indicates planes with the transparency set below 100, in the Media panel. A checkerboard now appears in the thumbnails of semi-transparent planes on the Editor timeline. Changed the layout of the Options dialog so it fits all of the available options better. Auto-scroll now works correctly in composite shot timelines. Mask paths now correctly switch from closed to open when path points are deleted. The contextual menu for path points now correctly identified their current linear or curved state. Text-based effects no longer add unwanted line returns when a project is closed and reopened. Editor tracks no longer lose sync when a project is loaded. Adjusting the Preview size of the Editor timeline no longer scrolls to the top of the timeline. Selecting multiple timeline objects across video and audio tracks using the CTRL (CMD on Mac) modifier now works correctly. Fixed an export error when motion blur is enabled on the Editor. Masks now consistently rotate correctly. Adjusted the default compression settings for PNG export to improve export times. Masks applied to text layers now update correctly when enabled or disabled. When importing composite shots from another project, all available composite shots are now listed correctly. The selected Workspace no longer remains highlighted after the layout of the software is reset. Bezier handles on masks now work correctly after a mask has been rotated. Adding new points to the curve of a rotated mask now works correctly. Improved the styling of warning dialogs shown in the Options panel. Points can now be removed from the puppet tool while in Edit mode. Selecting a property in the property tree of one panel no longer auto-expands the tree in other panels. The rotation turns control now correctly moves in increments of 10 degrees when the shift modifier is used. What's new in version 7.1? There is no longer an activation issue with the included Boris FX 3D Objects. What's new in version 7.0? The default setting for using the full data range of 10-bit and 12-bit files were changed, and the option was renamed in the Options screen. Added Viewer Control support for ofx plugins (e.g. Sapphire). Added Viewer Controls to 360 Blur. Added Viewer Controls to 360 Bulge. Added Viewer Controls to 360 Channel Blur. Added Viewer Controls to 360 Glow. Added Viewer Controls to 360 Glow Darks. Added Viewer Controls to 360 Magnify. Added Viewer Controls to 360 Twirl. Added Viewer Controls to 360 Unsharpen. Added Viewer Controls to Acceleration. Added Viewer Controls to Attract To. Added Viewer Controls to Drag. Added Viewer Controls to Follow. Added Viewer Controls to Gravity. Added Viewer Controls to Repel From. Added Viewer Controls to Throw. Added Viewer Controls to Angle Blur. Added Viewer Controls to Bilateral Blur. Added Viewer Controls to Blur. Added Viewer Controls to Diffuse. Added Viewer Controls to Radial Blur. Added Viewer Controls to Channel Blur. Added Viewer Controls to Bulge. Added Viewer Controls to Insect Vision. Added Viewer Controls to Magnify. Added Viewer Controls to Puppet. Added Viewer Controls to Twirl. Added Viewer Controls to Witness protection. Added Viewer Controls to Grid. Added Viewer Controls to Reflection. Added Viewer Controls to Split Screen Masking. Added Viewer Controls to Tile. Added Viewer Controls to Radial Gradient. Added Viewer Controls to Light Wrap. Added Viewer Controls to Glow. Added Viewer Controls to Light Flares. Added Viewer Controls to Unsharpen. Added Viewer Controls to Glow Darks. Added Viewer Controls to Bezier Warp. Added Viewer Controls to Polar Warp. Added Viewer Controls to Vortex Displacement Warp. Dragging on the Value Graph is now constrained to Horizontal movement when Auto Zoom is enabled. Improved accuracy of the value graph curve when drawing keyframes which are very close together. Improved updating of layers when their source assets are replaced with other media. The Puppet tool now updates correctly when the number of points is changed. Media titles in the Trimmer now extend properly when the trimmer is resized. Changed the default tool selection when changing a timeline from 3D to 2D. Improved the accuracy of the mouse positioning near control handles in the Viewer. Keyframe controls points now display correctly in the Viewer when deselected. Keyframe controls points now display correctly in the Viewer when a property containing multiple keyframes is selected. Changing the timeline zoom level after playback no longer causes stability issues. Effect presets are no longer automatically reloaded, to improve performance. Setting the camera layer alignment using a 2D layer no longer causes stability issues. Improved performance of the zoom level slider on the timeline. What's new in version 6.0? All animation tools are now accessible in the Editor timeline making it almost as powerful as the compositor when are doing 2D work (does not do 3D). A large number of animation tools and additional functions have now been added to the Composite Shot interface. A new Audio Hard Limiter effect has been added to make more even audio. Text can be created on the Editor timeline via the text effect. The ability to re-trim a clip after adding it to the timeline has been implemented. Geometry Effects (Extrude, Bevel & Rotate) have been added to text layers providing amazing titling options. Behavior Effects have been added, allowing one layer to be attracted towards, repel away, accelerate, move down the screen as if falling under gravity, slow down, throw towards or follow another layer. They allow layers to move using simple physics equations. Added an environment map to text layers allowing them to receive specular and diffuse reflections from an environment map. A vertical video adjustment plugin has been added, using the original blurred version of the video to fill the horizontal space not occupied by a portrait video. It is now possible to import ProRes video and CineForm MOV on PC. A custom MOV writer has been created for PC users to export Cineform video and PCM audio. A feature has been added to allow users to remove, copy and paste attributes to/from a group of clips at the same time if needed. A 360° video viewer panel has been added which allows users to view the 360° video in its original state as well as the adjusted version so that VFX can be added. Over 10 new 360° video effects have now been added. Text layers now support Asian characters allowing users to easily type and render in a number of additional languages. Viewer Quality Options can now be adjusted to improve performance in the Viewer, allowing for customized playback and pause quality. Viewer bit depth can now be changed, to improve performance in the Viewer without impacting export quality. Mask editing and rendering performance have been improved making it significantly faster. Media imported into a HitFilm project is now processed quicker allowing users to get straight to editing without waiting around. Downsampling is now utilized to improve the performance of playback in the Trimmer, Viewer and thumbnail rendering in the Editor timeline. Playback performance of MP4 files has been improved. Holding down the Shift Key now locks bezier control movement to the time axis in the Value Graphs and sequence envelopes allowing for completely smooth audio and video transition in the editor. Hovering over and editing graph curves and Keyframes now displays a tooltip. Performance improvements have been made to the copying and pasting capabilities of HitFilm. It is now possible to automatically audio sync the entire media bin by selecting multiple clips in the media panel. HitFilm will automatically sync the files. Ambient Occlusion can now be applied to Text Layers adding realism alongside the new advanced Geometry Effects. Change of parenting behavior when parenting a 3D parent to a 2D child. Motion Blur capabilities have been added to the editor sequence allowing for smoother transitions. Motion Blur has now been added to the Slide Transition. HitFilm optionally composites in linear color space to more closely match real life. 3D models can now use mirror reflections per material instead of spherical reflections. Mask points can now be moved using the cursor keys. A transform menu for Composite Shot layers can now be accessed by right-clicking the layer. Quickly adjust layers to fit the comp in different ways without having to adjust the scale and translation. Improved performance for importing MOVs (using H.264 codec) by removing the need to decode using QuickTime on PC. HDR images can be imported with the primary use as environment maps. Dynamic Reflections now enabled on the following 3D Layers; Planes, Images, Video & Text. The Export Queue now persists when closing & reopening HitFilm, so you can add render items from multiple projects, and export them all at once. Shortcuts for controlling the playhead (Previous frame, Next frame, Start playback.. etc) now work in every Panel. Changed the Panel system to allow resizing of the Lifetime, Text & Track Panels. Scrollbars will now appear if the panel is too small to display the content. A warning is now shown to inform users when saving a Project in a newer version of the software. Support for variable frame rate video added. HitFilm now resamples VFR videos so that they behave as if they have a fixed, constant frame rate. Fixed a bug with Audio Waveform previews for Proxied Media when opening some projects. Fixed an issue where the reported size of Media Cache was incorrect. Fixed a problem with deleting files from Media Cache after completing a proxy task. Fixed an issue where Queued Export tasks were not named correctly. Fixed an issue where turning Reflections On or Off in the Perspective View changes the render. Fixed a problem where incomplete media is not deleted when the Queued Export is canceled or deleted. Fixed a bug where you could not navigate to the Export screen without first creating a project. Fixed an issue where the Control Panel was not showing the correct Object or Layer selection. Fixed an issue where adding a Layer or Object as Queued Export did not display the Go to Export/Continue Editing prompt to the user. Fixed an issue where you were able to navigate to the Edit screen when an Export is starting. Fixed a problem where the position of the splitter between the layer names and the timeline was not saved properly in composite shots. Fixed an issue where the Duplicate shortcut was not working in the Viewer. Fixed an issue where the Media Panel shortcuts were not working if the panel was not visible. Fixed a problem with the styling of 3D Model Import Window where some properties were being squashed. Tweaked the wording of the error message displayed when running on a machine below the minimum requirements. Fixed an issue where Layer Audio Waveforms were incorrect when scrolling. Fixed a rare crash when canceling a Queued Export task. Fixed an issue which caused a crash when proxying multiple media files at once. Fixed an issue where the Trimmer was stuck in a paused state after completing Playback of any piece of media. Fixed a crash with mocha HitFilm that would happen if Quicktime was not installed. In this epic 15 minute tutorial, find out about point layers, creating animation rigs, a quick trick for making authentic 3D reflections, 3D particle streams, light flares and much more. This is a tutorial for FXhome HitFilm and a custom effect for Video Game High School. Simon shows users how to create a fireball in this very detailed tutorial on HitFilm 2 Ultimate! HitFilm Ultimate - All your essential editing tools. A revolutionary workflow. Everything you need at your fingertips, in a single product. HitFilm Ultimate NLE/Compositor makes some major strides in their v2 release- New direct in-application 3D model import, bundled HitFilm mocha camera solver by Imagineer Systems, and updated particle system. 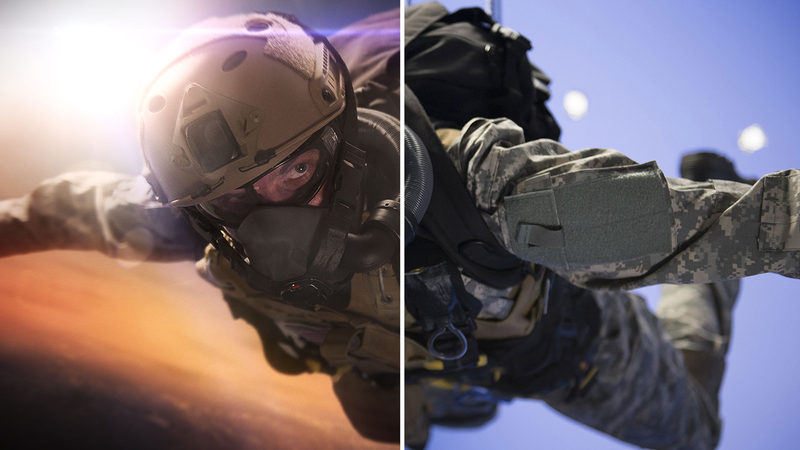 Learn about compositing concepts, adding muzzle flashes, and how to use motion tracking in these 3 "getting started" tutorials, for FXHome Hitfilm 2 Express. 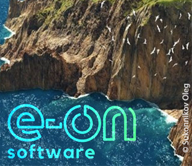 This tutorial covers the installation and basic usage of Re:Vision Effects plug-ins in HitFilm 3 Pro. Turn a cold, wet day into burning summer with HitFilm 3 Pro's heat distortion effect. Doctor Strange is a visually awe-inspiring sci-fi film/fantasy film. We'll take a look at some behind the scenes videos and several tutorials. Space, the final frontier! Learn to create stars, galaxy, moons, and more for your next space themed film or science fiction short. Create the ghost of Yoda and other Jedis, or anyone else shot over a green or blue screen, with HitFilm Pro or Express. Inspired by an effect seen in the recent Doctor Who Christmas episode, Javert shows you how to freeze time and suspend snow in midair all inside the latest HitFilm Pro. HitFilm Pro users get an entire year of free updates with their software. Get major improvements, mind-blowing new features, advanced tech, and an ever-expanding VFX library. HitFilm is at more than 820 effects and presets and counting! This tutorial talks about the new Layout Panel in HitFilm Pro 8. If you're planning on making an epic action film like Max Max: Fury Road or Rambo, you're going to need lots of fire power. Here is a rundown on how to add spectacular muzzle flash and gunshot effects to your films in your host of choice. I've also included info on 3D models of weapons and some sound effects.